Brian R. Forbes focuses on finance and real estate law. 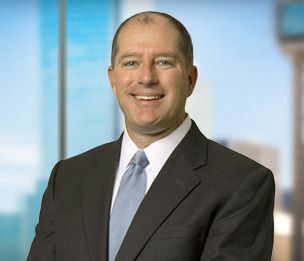 He has experience in real estate transactions, including real estate loans, acquisition and disposition of distressed debt, leasing, workouts, modifications, collections, perfection issues, temporary restraining orders, receiverships, foreclosures, sales and purchases of all types of real estate and general financial services. Mr. Forbes has represented parties negotiating lender to lender credit facilities and the subsequent maintenance of these facilities. His experience also includes drafting loan participation agreements, partnership and limited liability company agreements, private placement memorandums, tenant-in-common agreements and representing lenders and borrowers in the documentation of construction, permanent and mezzanine loans secured by hotels, self-storage, retail shopping centers, office, multifamily, unimproved property and assisted living facilities. Mr. Forbes is also experienced in real estate securitization and in particular, Real Estate Mortgage Investment Conduits, including representation of master and special servicers in real estate loan workouts, foreclosures, assumptions, defeasances, perfection issues, leasing, REO sales, loan sales, property management agreements and interpretation of Pooling and Servicing Agreements.